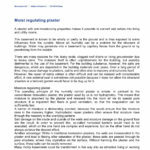 a coating, which can be applied in many different ways, such as rolling, painting, spraying. Both products are used in cases where condensation on surfaces is not welcome. Condensation leads always to hold, sooner or later. Mold is definitively not welcome, may it be in the food industry, in private housing, in the public area etc. if you look at the following video carefully, you will see how fast the water drop on the left hand side will dry-off. In a dry environment mold has no chance. Below you will find some more information regarding the products. 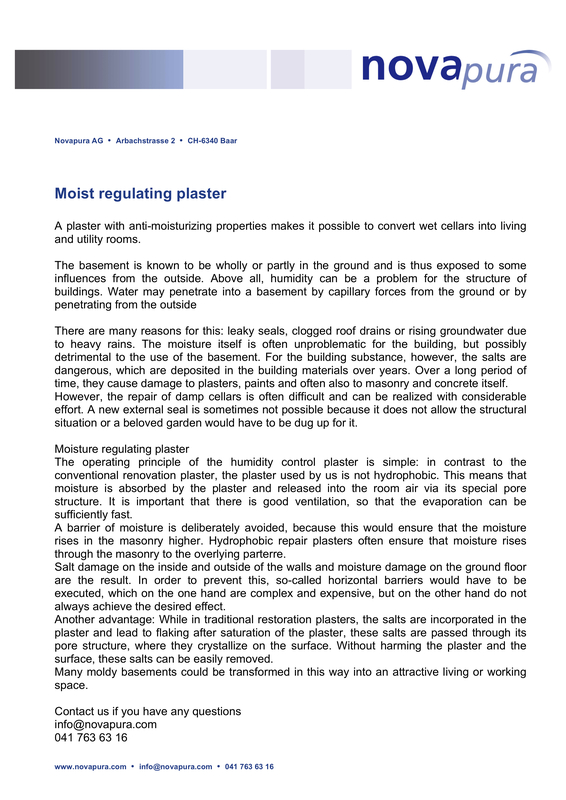 Moist regulating plaster Heavy duty cases such as cellars, historical buildings, etc.